Please note, as of July 2017, the South Portal of Jeronimos Monastery is undergoing some refurbishment work, meaning part of the façade is obscured from view for the next few months. This does not affect the tour overall and you can still enter the monument, but it does mean that part of its intricate exterior is covered by scaffolding. Nestled on the banks of the Tagus river, away from the hustle and bustle of the city centre, is the charming and historic district of Belém. 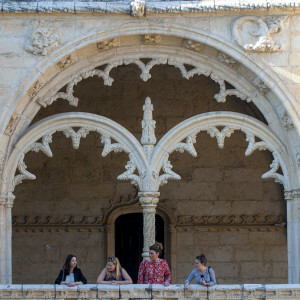 Thanks to its coastal location and abundance of iconic monuments, Belém serves as a fascinating microcosm of the evolution of Lisbon, from early settlers, to the age of the explorers, to the present day. 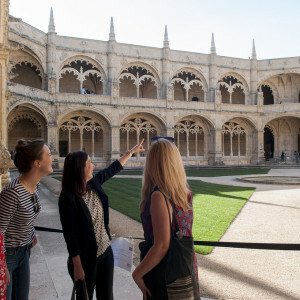 On this 3-hour Belém tour, we will travel through time to learn how the area transformed from a maritime village to a powerful symbol of Portuguese expansionism. We will also consider how this legacy would later be employed as a propaganda tool by subsequent rulers and the enduring cultural impact that Belém has today. 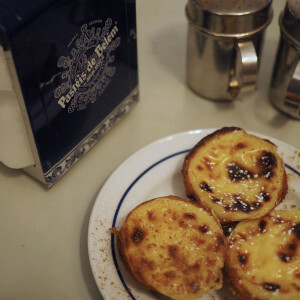 We begin our discussion over coffee and pastries at the legendary Pastéis de Belém bakery, where people come from far and wide to try their signature custard tarts. 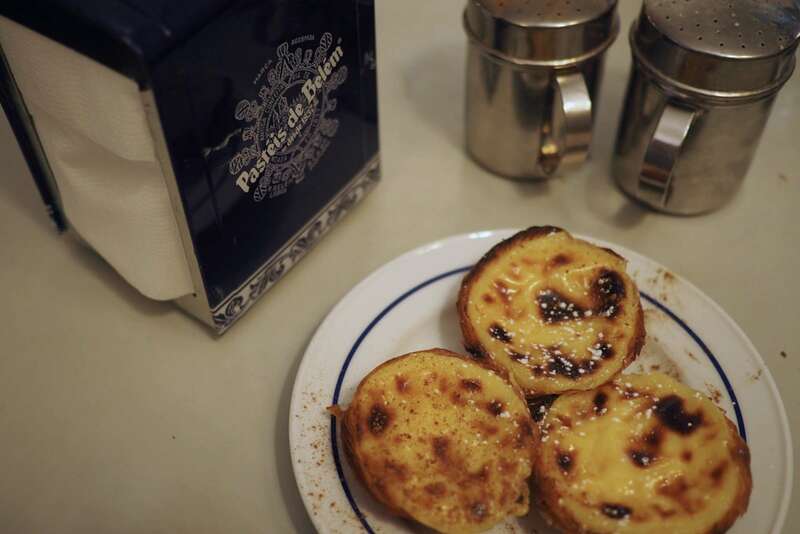 Here we will be introduced to our docent and to the origins of Belém, learn what the pastries have to do with the Jerónimos Monastery, and try to figure out what’s in the secret recipe to make them so darn delicious. 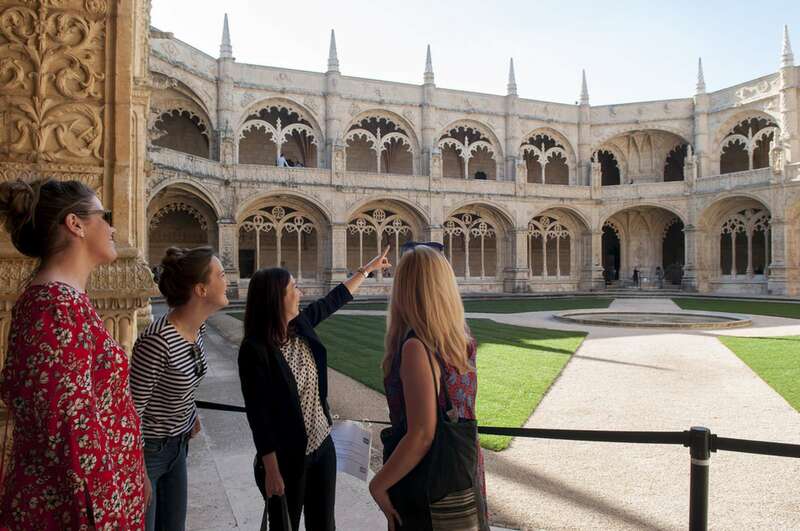 Our next stop is the stunning UNESCO World Heritage site, the Jerónimos Monastery where, equipped with skip-the-line tickets, we'll set out to explore one of the most prominent examples of Manueline (ornate, 15th century maritime style) gothic architecture in Lisbon. 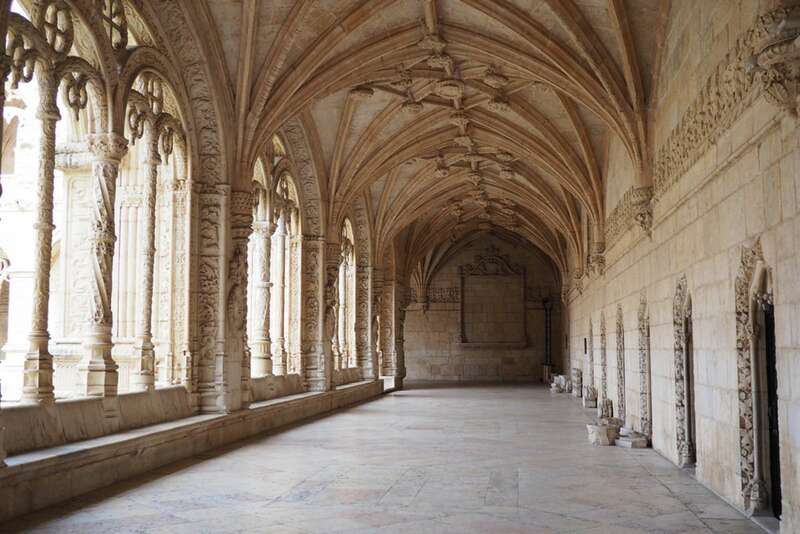 As we wander through the hallowed halls, we will learn about how Vasco de Gama and his men spent the night here ahead of their first voyage to the Orient, cementing Belém and the Monastery as key sites of the age of exploration and of Portuguese colonial history. 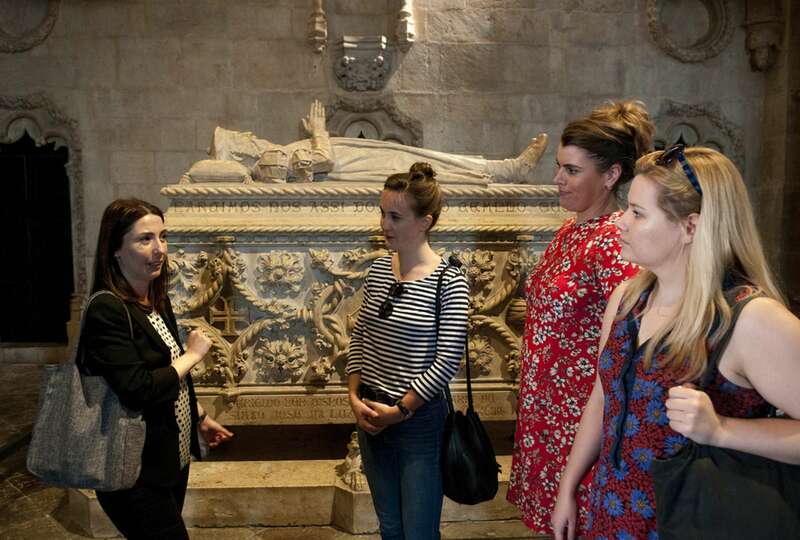 We’ll take a peek at Vasco de Gama’s tomb and find out more about the monastery’s other illustrious inhabitants over the years. 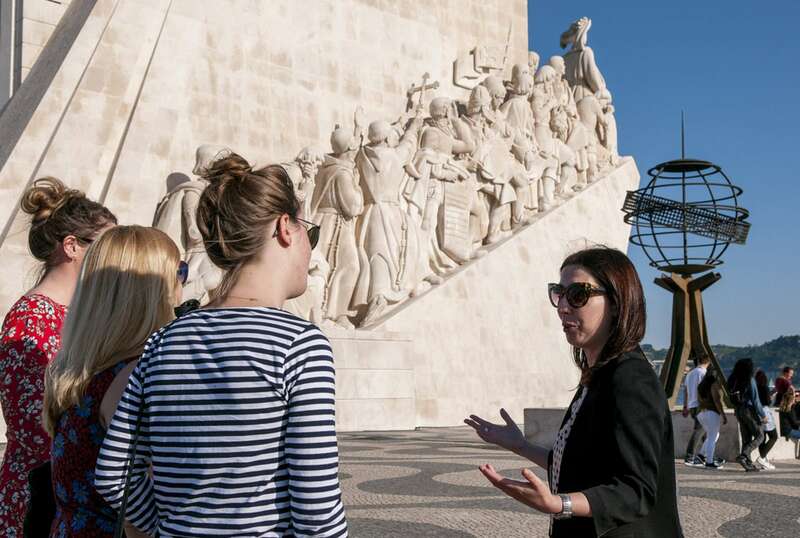 From there, we’ll head across to the immense Padrão dos Descobrimentos, or the Monument to the Discoveries. Situated right on the water’s edge, we’ll get an idea of just how close Belém is to the sea and hence why it was of such strategic importance. 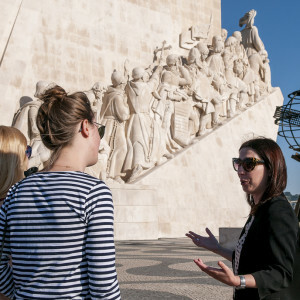 Our docent may give an in depth explanation of the explorers depicted on the monument and the routes they pioneered, or perhaps delve into the social history of Lisbon’s maritime culture and how embarking upon these often treacherous journeys affected those who were left behind. While you could be mistaken for thinking the monument was centuries old, it was actually completed in 1960. 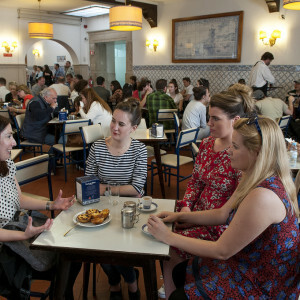 (If you wish to see the older side of Lisbon, we also offer a Lisbon Old Town tour of the Alfama district.) 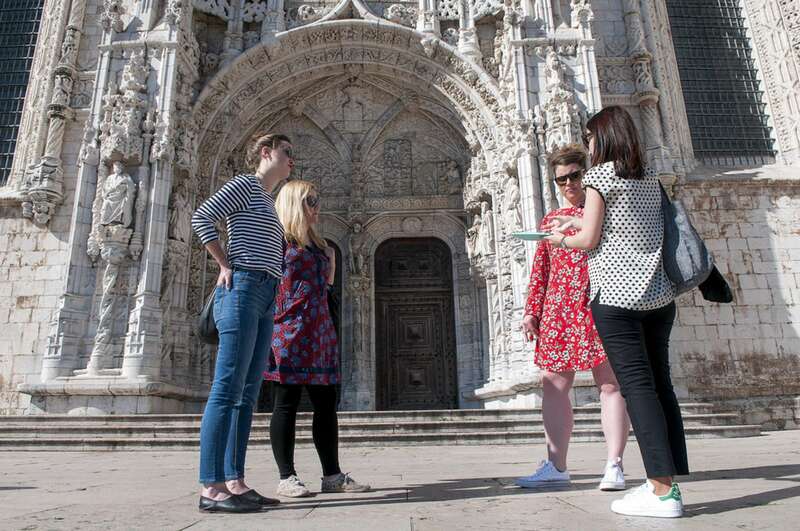 We’ll reveal how it came to be, as well as Belém's importance to Lisbon’s progression, particularly under authoritarian Prime Minister Salazar (1889-1970) who used its legacy as a means of propagating Portuguese superiority. 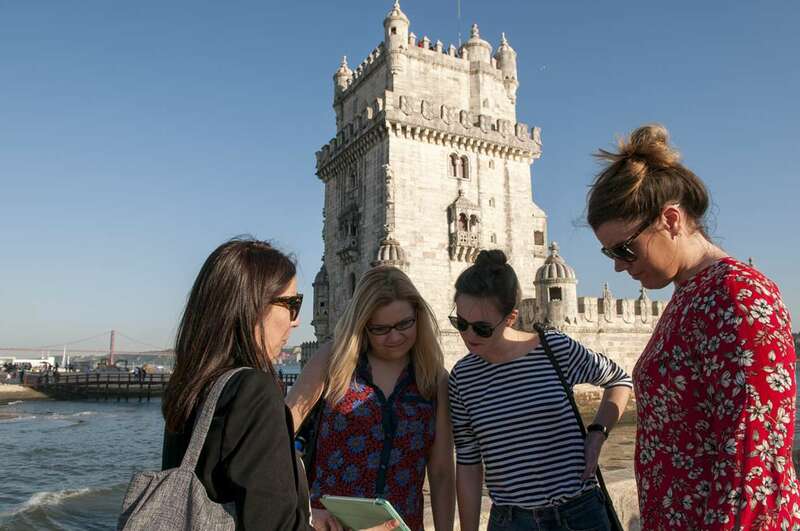 We’ll end our Belém tour experience at the impressive Belém Tower, which along with the monastery forms part of a UNESCO World Heritage site and the 7 Wonders of Portugal. We’ll learn how and why it was conceived for defensive purposes, the important battles to which it bore witness, and will see the influence of the Age of Discovery by uncovering some hidden details. 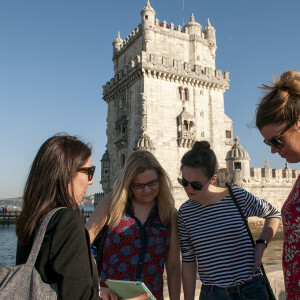 Our docent will then leave you in the tower to enjoy the view or help you decide where to go next, whether you wish to make your way back into the city centre (for more on Baixa and central Lisbon, consider our Baixa Walking Tour of Lisbon including Bairro Alto & Chiado) or visit one of the host of interesting museums to be found in Belém itself. 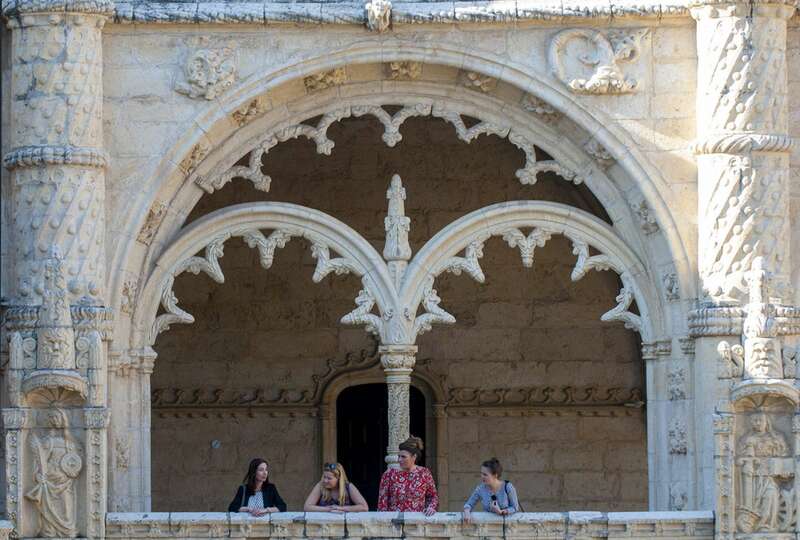 This voyage of discovery should leave you with a deeper understanding of Belém and its role in key periods of Portuguese history, as well as Lisbon’s relationship with the sea and how that has affected the city’s development. Can you focus in-depth on a specific theme? We can customize this tour on a private basis to focus on a particular area of interest such as military history or visit additional sites like the Maritime Museum. If you have any particular ideas or preferences, please do not hesitate to let us know. Will you purchase skip-the-line tickets for me? 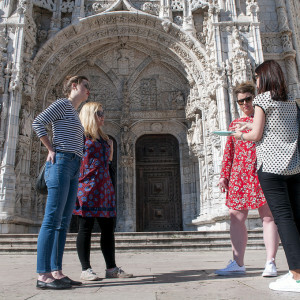 Yes, the docent will have tickets to the Monastery and the Tower in hand, though we will still need to wait in the small security line which is required of all visitors to the two sites. 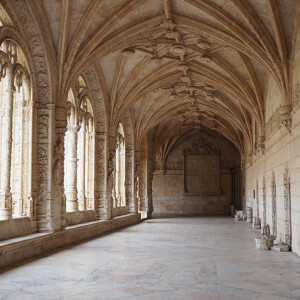 In the Monastery, the Church and Lower Cloister are accessible to persons with reduced mobility. The Tower is partially accessible. Please contact us to discuss in more detail your mobility concerns so that we can best advise. This walk is not a part of our official family program. That said, we may be able to arrange a visit with a family-friendly docent. Please contact us. 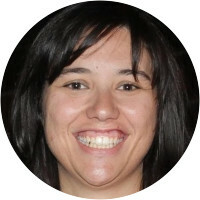 Patrícia Brum is a Portuguese archaeologist who also holds a Master's degree in Museum Studies. She focused her thesis on the museum planning of the Roman collection of Tróia (Portugal), the archaeological site she has been working on for the past decade. She has also worked at Núcleo Arqueológico da Rua dos Correeiros (an archaeological site in downtown Lisbon) and at the Science Museum. Currently living in Lisbon, her favorite part of the city is its magical light. Estela Mendes is an art historian. 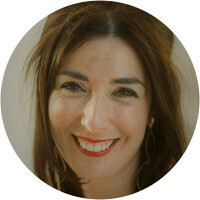 Born and raised in Lisbon, she has been teaching about the beauty of the world for the past 11 years. 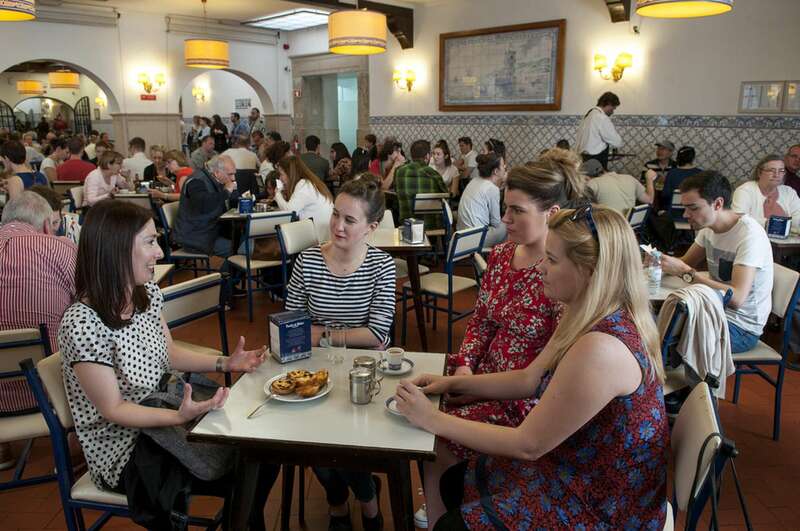 After working in national palaces in Portugal, Estela moved to London where she spent 5 years working at museums like Buckingham Palace, the Victoria & Albert Museum, the British Museum and the National Portrait Gallery. Her background in art history gives a special view of the history of the city, using art to illustrate historical facts. 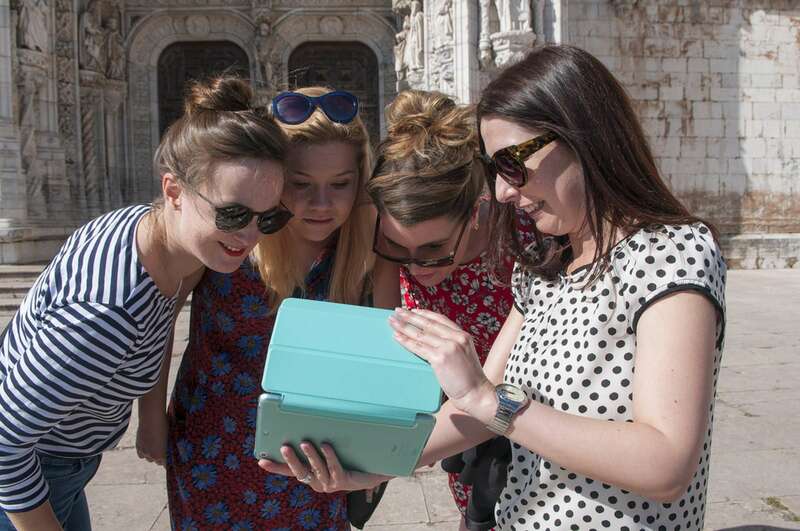 She likes to walk through quiet streets and show small secrets to those who have never been to Lisbon. 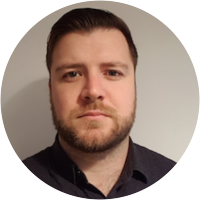 Born in the North of England, Ian was raised around the historic docks of Liverpool where a love of Maritime history was born. He went on to study Archaeological sciences with the aim of specialising in Marine archaeology. His four years of study saw him divert from his original aim and concentrate on Roman imperial architecture and Urbanisation in the Ancient world. 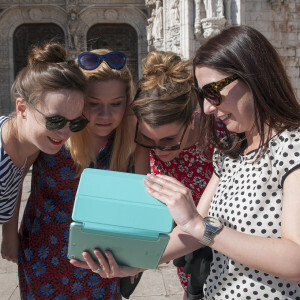 Working as an archaeologist for a number of years across Italy and the UK, Ian has spent 7 years working as a tour guide in Rome before the lure of the sea and sunshine brought him to Lisbon where he continues to research the urban landscape and the city’s vital relationship with the sea. Tiago has excellent technical knowledge, appreciation of history, knowledge of art and architecture and the ability to communicate his knowledge in a pleasant understandable style. Jose was excellent and informative. He pointed out so many details in the decoration of the monastery which we would have otherwise missed. Tiago was enthusiastic and informative. He was great with kids!